While Alan Rickman was famed for his superlative performances in the showbiz business, his first love was stage productions. The star actually began his journey to stardom on stage, where he wowed audiences in both classical and modern productions. Throughout the years his career lasted on stage, Rickman made a name for himself, winning the hearts of spectators with his classic and impressive performances. To date, his appearance as Le Vicomte de Valmont in the 1985 production of Les Liaisons Dangereuses is considered as the greatest of all his stage projects. The hugely popular actor also starred in several top-grossing blockbusters, including but not limited to Robin Hood: Prince of Thieves, Die Hard, Harry Potter, Alice Through the Looking Glass, and Eye In The Sky. The two last films were actually his final projects before his untimely death. 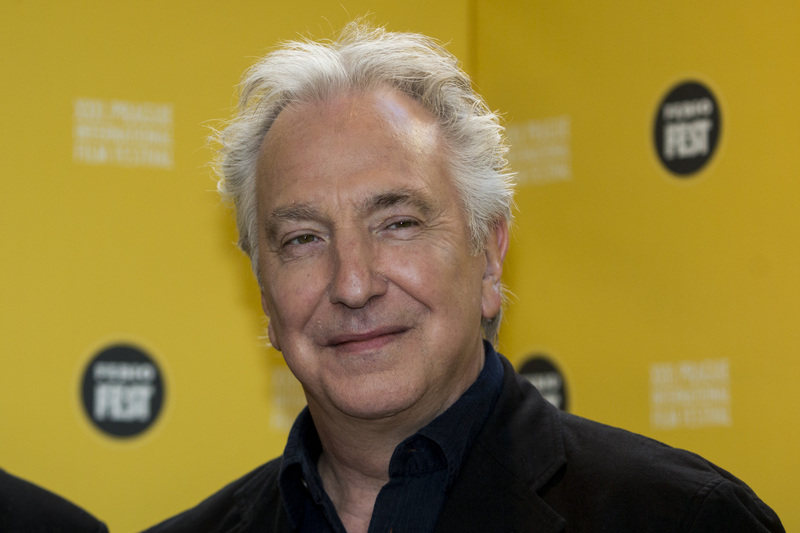 Rickman’s flourishing career didn’t end without an impressive number of accolades to his name. He won several awards for his brilliant performances in so many films, television series, and stage productions. Read on to find out more about the iconic actor whose illustrious career was cut short by death. The Harry Potter star was born to Bernard William Rickman and Margaret Doreen Rose, who named him Alan Sidney Patrick Rickman after his birth on February 21, 1946, in Hammersmith, London, England. Born and raised in a working-class family, Alan’s father, a Catholic, was a worker in a factory, a house decorator and painter, and former World War II aircraft fitter while his mother, a Methodist, was a housewife. The actor was raised along with his siblings – Sheila Rickman (sister) and brothers David Rickman and Michael Rickman, who are all of Welsh, Irish, and English ancestry. Alan became fatherless at the age of 8 when his father lost his battle with lung cancer, leaving his wife and four children behind. In order to raise some money to cater for her children, Margaret began working in the Post Office. She later remarried in 1960 but divorced her second husband after three years of turbulent relationship. The movie superstar had his elementary education at Derwentwater Primary School in Acton and later, Latymer Upper School in London, where he joined the school’s drama group. At the time, Alan was also very good at calligraphy and watercolor painting but his love for acting kept putting the others in the shade. After his stint at Latymer, Alan Rickman proceeded to Chelsea College of Art and Design and later the Royal College of Art, where he also worked as a graphic designer for the Royal College of Art’s in-house magazine. His Death, What Caused It? Alan Rickman is certainly one of the greatest actors to have graced Hollywood. This fact, perhaps, explains why he was deeply respected in the showbiz world. His death, on January 14, 2016, came as a big shock to the movie industry considering the fact that he passed just four days after English singer-songwriter and actor, David Robert Jones, professionally known as David Bowie, died in Manhattan, New York City, New York, United States. Alan took his last breath in London, succumbing to pancreatic cancer at age 69 after putting up a secret fight with the ailment. The actor became aware that he had cancer for the first time in August 2015 after he suffered a minor stroke that led to the diagnosis. He, however, concealed his health problem from the public but opened up to his closest friends. Following his death, the A-lister’s remains were cremated in the West London Crematorium in Kensal Green on February 3, 2016, while his wife was given his ashes. The much-loved British actor spent his years on earth without any children of his own. While it is difficult to tell if he decided not to have his own kids or not, the actor never allowed his childlessness to affect or impact on his robust career. Prior to his death, Alan was the partner of former Chelsea London Borough Council and Labour Party councilor on the Kensington, Rima Horton. A former lecturer at Kingston University, Rima, and Alan Rickman met in 1965 while they were 18 and 19 years old respectively. They later became friends and started living together in 1977. The actor officially revealed in 2015 that he got married to his longtime partner in 2012. Horton was born Rima Elizabeth Horton on January 31, 1947, in Bayswater, London, England. She is the third of four children born to a London-born father and a mother who is from Wales. Considering the years Rickman Alan spent in the movie industry, it comes as no surprise that he made it big as an actor. The star was not only famous for possessing a rare acting skill that makes it easy for him to excel above his equals in modern productions, he was also loved for his performances in classical projects as well. According to reports online, the British actor’s fortune is valued at $19 million. It is believed that the English director and actor built his net worth from his multiple roles in the movie community. 1. The much-loved actor is said to have been listed as the 20th highest grossing actor in movie history. 2. His worthwhile years in the movie industry saw him share time with stars such as Morgan Freeman, Kevin Costner, Bruce Willis, and many others. 3. Alan usually plays the villain in movies, this led to him being voted 46th best villain in movie history by the American Film Institute (AFI). 4. Alan Rickman is friends with Emma Thompson, who is also his frequent collaborator.